Microsoft wants people to move over to its subscription-based licensing for Office 365. In its Q1 2019 earnings, Microsoft stated that Office commercial revenue grew 17%, which it puts down mainly to continued growth of Office 365 in the commercial sector. In fact, Office 365 commercial revenue grew 36%. As of October 2018, it has now increased pricing, the effect of which means that the on-premise Office 2019 product - which can be installed standalone on desktop and laptop PCs - is now significantly more expensive. This means the cost of Office 2019 will increase by 10% over current on-premise pricing. The rise affects Office Client, Enterprise Client Access Licence (CAL), Core CAL, and server products such as Exchange, Skype for Business, and SharePoint. Office 365 ProPlus for business starts at £7.90 for the core Office suite plus OneDrive cloud storage, to £9.40 for the Premium edition, which also bundles Microsoft Teams, SharePoint and Exchange. There are three levels of enterprise subscription: E1, E3 and E5. E1 costs £6 per month and only provides the web version of the Office suite, and online access to Exchange, OneDrive, SharePoint, Teams and Yammer, meaning it can only be used in a browser. There is a big jump in price to the next level up, E3, which costs £17.60. This allows the components of E1 to be installed locally. The £30.80 Office 365 E5 version is almost twice as much as E3. For that price the users can run PowerBI. 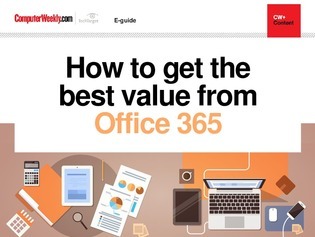 Just looking at the different product offerings and the massive increase in price between E1 and E5, it is clear IT departments need to have a firm grasp of how Microsoft Office will be used. Moving to the cloud with an Office 365 subscription means that one size is certainly not appropriate for all users. How many people can get away with just using the online products; how many need the on-premise version and which users actually require PowerBI? So by understanding the requirements of different categories of end users, an IT department can ensure it purchases Office 365 in a cost effective manner.